Honda failed to showcase its cars at the Auto Expo in Delhi earlier this year, following the production crises due to floods in Thailand. The company has been under severe production constraints since November 2011. 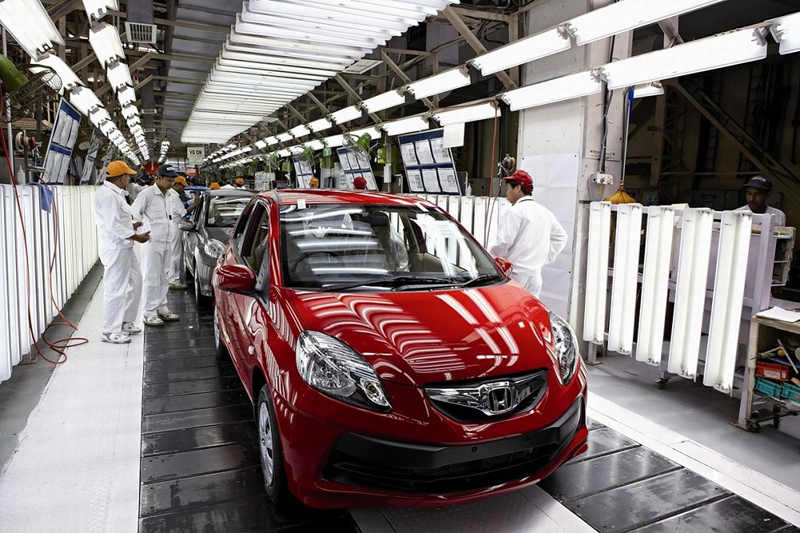 Honda Siel Cars India Ltd, announced that it has resumed normal production with two shift operations from today. “We are delighted to announce that we have resumed two shift operation from today. We will have production of 370 cars per day from today and from next week it will ramp up to 440 units per day. We are confident to achieve peak production output in March 2012. We are thankful to our valued customers for their patience and understanding during these challenging times. Honda has been carefully monitoring the part supply process and have taken all the necessary recovery actions to normalize production situation with critical components now being sourced from Japan & China” , Honda Siel Cars India Senior Vice-President, Jnaneswar Sen said. “Our top priority at the moment is to reduce the backlog and closely work with our dealers to ensure prompt deliveries. We are hopeful to clear most of the current Brio bookings within March 2012 and deliver cars to these waiting customers. We will also be launching a comprehensive communication campaign to communicate the Brio availability and increase activities at dealerships to enhance touch and feel experience with the car.” he further added. Honda had resumed the production of new Honda City from January 2012, with 1500 units rolling out a month. The production of Honda Brio and Honda Jazz will start towards the end of Feb 2012. Appears that Honda is just trying to get back on track with the production and laying grounds for the upcoming Honda hatchbacks-Jazz and Brio in 2013.